Pioneers in the industry, we offer nevimune tablets, tenvir em tablets, indivan capsules, duovir-n tablets, lopimune tablets and temonat capsules from India. Nevimune, also marketed under the trade name (Boehringer Ingelheim), is a non-nucleoside reverse transcriptase inhibitor (NNRTI) used to treat HIV-1 infection and AIDS. As with other antiretroviral drugs, HIV rapidly develops resistance if Nevimune is used alone, so recommended therapy consists of combinations of three or more antiretrovirals. 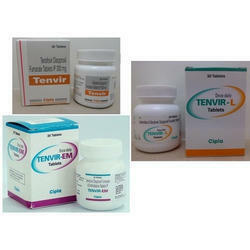 Tenvir-EM (Tenofovir Disoproxil, Fumarate / Emtricitabine) is used together with other antiretroviral drugs to treat HIV-1 infection occurring in adults. Tenvir-EM drug contains the active ingredients Tenofovir disoproxil fumarate, which is a type of antiretroviral drug that blocks a certain enzyme which is needed for viral production, and Emtricitabine, Tenvir-EM works by inhibiting a certain enzyme, known as reverse transcriptase, thereby helping to reduce the viral load in the patient's body. 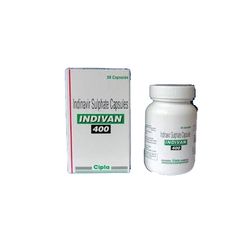 Indinavir (IDV trade name Crixivan, manufactured by Merck) is a protease inhibitor used as a component of highly active antiretroviral therapy (HAART) to treat HIV infection and AID. Duovir combination of lamivudine and zidovudine is used to treat human immunodeficiency virus (HIV) in patients with or without acquired immunodeficiency syndrome (AIDS). 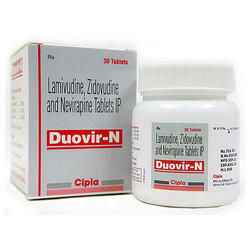 Duovir Lamivudine and zidovudine are in a class of antiviral medications called synthetic nucleoside analogues. 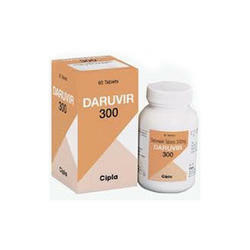 Duovir work by slowing the spread of HIV infection in the body. 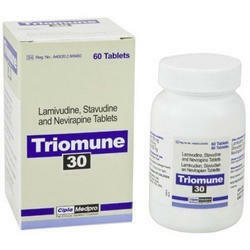 Lamivudine and zidovudine is not a cure and may not decrease the number of HIV-related illnesses. 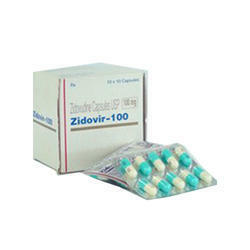 Duovir Lamivudine and zidovudine does not prevent the spread of HIV to other people. 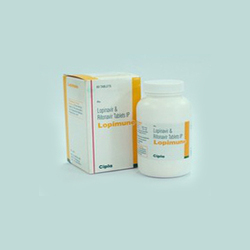 Lopimune Used in combination with lopinavir fixed dose drug combination for the treatment of HIV infection as first line therapy. Lopinavir inhibits HIV protease, causing the enzyme incapable of processing the polyprotein precursor. leads to the production of non-infectious and immature HIV particles. a selectively competitive reversible inhibitor of HIV protease, interferes with the formation of essential proteins and enzymes. After which, the formation of immature and non-infectious viruses follows. also interferes with the production of infectious HIV and limits further infectious spread of the virus. 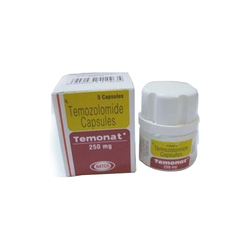 Our company is involved in proffering Temonat Capsules which is an oral alkylating agent, used for the treatment of Grade IV astrocytoma, an aggressive brain tumor. Recommended only after healthcare expert’s advice, the proffered batch is extremely effective in treating specific types of cancer of the brain in adults, whose tumors have just been diagnosed or just returned back. 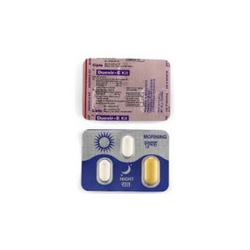 Natco is generic version of Aromasin. 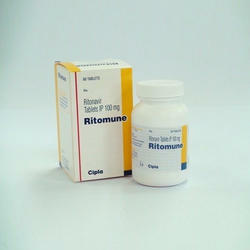 Ritomune is prescribed to patients to treat HIV and AIDS. Ritomune is an antiviral and works to stop the virus cells from multiplying in your system. Please note, Ritomune medication is not a cure for either AIDS or HIV. We are one of the leading exporter and Medicine drop shipper of a wide range of Tenvir L that are formulated by using safe and pure ingredients. These medicines are made available in various packaging options to suit the varied demands and specifications of the clients. Viraday Tablet We are considered a trustworthy name in the field that engages in proffering Viraday Tablet that is used for treating HIV injection. This effective medication is widely beneficial in preventing or slowing down the spread of infection. Precisely composed and highly effective, the proposed medication comprises of a combination of three antiretroviral drugs, emtricitabine and tenofovir disoproxil fumarate that are only effective against RNA viruses. Dinex EC (2',3'-dideoxyinosine, ddI, DDI) is sold under the trade names and EC. 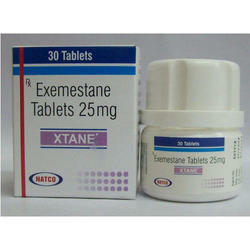 Dinex EC is a reverse transcriptase inhibitor, effective against HIV and used in combination with other antiretroviral drug therapy as part of highly active antiretroviral therapy (HAART). 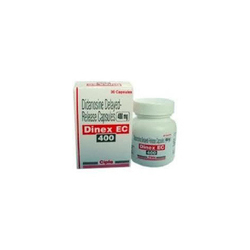 Dinex EC is a nucleoside reverse transcriptase inhibitor that inhibits DNA synthesis of retroviruses by competitive inhibition of reverse transcriptase and incorporation into viral DNA. Rapidly hydrolysed in the gastric acid. B S Export is considered a trustworthy name in the business, engaged in proffering Veenat capsules. Veenat Used for treating different kinds of cancers, the proffered medication works by stopping or slowing the growth of cancer cells. Moreover, Veenat also works by causing death of cancer cells. Also, it belongs category of protein tyrosine kinase inhibitor. 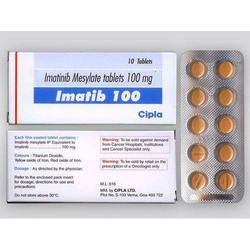 Imatinib Belsons is a trusted name in the market that engages in proffering Imatinib Tablet that comprise of Imatinib mesylate as an active ingredient. Imatinib proffered selection of tablets is massively popular in the market for its precise pH value, high effectiveness and longer shelf life. Veenat tablets are provided in tamper proof packaging to prevent moisture and chemicals. 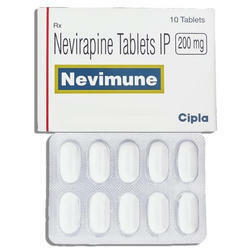 Nelvir Nelfinavir (Viracept) is an antiretroviral drug used in the treatment of the human immunodeficiency virus (HIV). 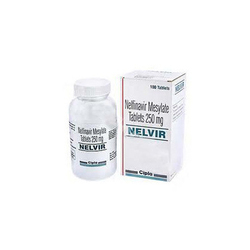 Nelvir Nelfinavir belongs to the class of drugs known as protease inhibitors (PIs) and like other PIs is generally used in combination with other antiretroviral drugs.